I’m currently experiencing one of the most emotional and trying times of my life and that is dealing with custody. It literally is the most difficult things I’ve ever had to go through because it involves the most important person in my life my daughter. The end is coming near and I’ve learned so much through the process. If any of you are going through custody issues or will be, I’d like to share some of the things I’ve learned on the way and I hope it can be of some small help to you. 1. Pray! First and foremost you’ve got to pray. Get on your knees and pray for guidance and wisdom and for God to work his will in your life and your child’s life. I’ve experienced some dark nights and the only way I get through them is through God. Pray for everyone involved and ask God to intervene and do what’s best for your child. 2. Have a support network. You need friends, a confidant, and anyone who you can pour your heart out too. Maybe this is a therapist, a minister, a parent or a best friend. Whoever, it is have someone you can talk to at anytime. Keeping the rollercoaster of emotions locked inside isn’t physically or mentally healthy for you or your children. Talk, talk, and talk. 3. Get a lawyer. A lawyer is crucial when you’re going to court for custody. I know it is expensive believe me! But, pray to be directed to the right lawyer. Try to interview a few lawyers before you settle on one. Many lawyers will give you a free 30 minute consultation, this will give you a good idea if you want to retain them. You want a lawyer who has the best interest of your child in mind and will fight for you. You want to go into court knowing that your lawyer is going to fight tooth and nail for what is fair to you and your child. Lawyers do come with sticker shock! I was amazed at how much a retainer fee could cost. The first lawyer I went to wanted a $7500 retainer fee! I did find a great lawyer who didn’t require as much and has done a great job so far. If you can’t afford a lawyer look into free legal aid that is available in your county. Ask your human resource department if they are any legal resources available to you through your benefits. If you don’t have a lawyer before the other party, their lawyer will send you all their pleadings via mail and it can be stressful to get all this legal jargon in the mail. Once you retain representation all correspondence will go through your lawyer and they will either send you a copy or speak with you about it. Once you get representation it defitnely gives you more peace of mind. 4. Document Everything! If you go to court you’ll partake in discovery. Basically, discovery is like disecting every part of your life and putting it on display. It really is unnerving, but a necessary part of the process. Learn to document everything and to be ORGANIZED. Buy file folders and keep your bills, medical records, receipts, and correspondence between the two of you in these files. Collect everything you can to prove your case and keep a journal. If you know you’ll be going through the process soon, don’t procrastinate, start getting organized and it will lessen the burden. 5. Be Proactive! I learned this very early on in the child support process and it has carried over into the custody case. 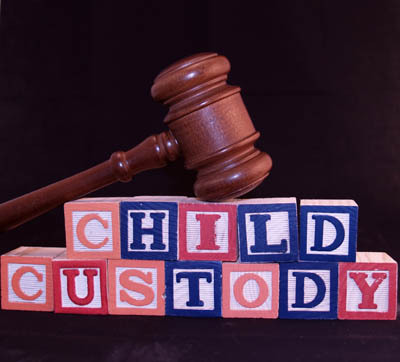 Learn everything you can about child custody laws in your state. Be you own lawyer. Follow up on your case, check the status for any changes, keep all your legal papers organized and filed seperately, investigate the different custody arrangements, and don’t be afraid to ask questions and be persistent. I’ve been able to do get things accomplished in certain areas only because I stayed on top of it and didn’t just lay back and let the system dictate what was going to happen. It will pay off. If there is nothing in your life you are proactive about make this the one thing that is. Be an advocate for yourself and your child. 6. Don’t Be Intimidated. It is so easy to get wrapped up into the negative and think the worse. Custody is emotional. But, don’t allow your emotions to overcome you. This is the time to be rational, logical, and focused. Emotions will cloud your judgment. Be courageous and don’t allow anyone to discourage you or to intimidate you. Remember God is in control not anyone else, although it may seem like it. Step into this season of your life with your shield of faith and put on your full spiritual armor. 7. Protect Your Children. One of the most important things you can do is to protect your child through this process. Depending on their age explain to them that mommy and daddy are trying to figure out a schedule that works for everyone and most importantly them. Don’t bad mouth their dad or critcize them, don’t let them know anything they don’t need to know and most of all love then through it. I believe that honesty is best, but everyone knows their child and has to use their own judgment. Also, therapy either individually for them or for the whole family may be beneifical to everyone involved. 8. Stay Active. Don’t crawl into a hole, this is probably the worst thing you can do. Now is the time to be around supportive and loving people. Exercise, walk, try a new class or hobby, go to church, do anything you can that makes you happy and keeps your mind from stinking thinking. It is okay and normal to have a couple breakdowns! Cry, scream and let it all out! But, dwelling in the negative will only breed more negative thoughts that manifest and still your joy. Try to find happiness in the simple every day things, like your children’s laughter, or dinner with a good friend. 9. Don’t Neglect Your Health. This goes hand in and with staying active. This isn’t the time to allow your health to deteoriate. You need every bit of strength you can muster. Eat a healthy diet, exercise, read spiritually uplifiting material and go to the doctors. Find time to rest and pamper yourself. Pampering yourself doesn’t have to break the bank, create a mini spa day at home, take a long ride, or pitch in for a girl’s night away. The number one rule is give yourself a custody free day! Don’t think about the case and don’t talk about it, give yourself a break. 10. Try to Stay Peaceful. It is okay to be angry. Why you might have every right in the world to be angry, but don’t allow it to consume you and transform you into a bitter person. If you can’t speak to your children’s father without arguing, then have as little communication as possible. Texting is a great option, it also is a documented record of what is being said and this can help eliminate confusion that often comes up during visitation issues. Do your best to be cordial and pray for restoration for your realtionship so that the two of you can focus on what is best for your children. You may think he is plain awful, but you chose to have a child with this person and like it or not he will be in your life so the better your relationship is the more your child will flourish. This isn’t an easy road and I can only hope it gets better with time, but pray for peace for your relationship with the father of your children. Well, ladies, I’ve learned alot through this process and I have to say it has made me become a stronger person in every imaginable way. It is hard and scary, but it will pass and I’ve learned that I must depend on God to get me through this period in my life. I take it day by day. Some days are wretched and some days are good. If you are going through custody, I pray for you, I pray for God to give you the strength, peace and wisdom you need right now. I pray that your children will come through it unscathed and that your relationship with their father heals in time. Rest in the fact that you and your children are in God’s hands and he will take care of everything. Don’t lose faith, be patient, and through all of this love yourself and your children. Most couples make a decent attempt as they can to spare their marriage before choosing to make separate their last step. I agree! It isn’t something anyone takes lightly and is usually a last resort. Only the best and brightest for your legal needs for the best assurance of your needs. Thanks for sharing the knowledge from your experience with a custody battle. I would think that having a lawyer for any type of dealing with the law is a good thing. I think the law can be a little confusing and it doesn’t help that it can change depending on what state you live in. Investigations Toronto Inc. recently posted…Investigations Toronto Inc.
You are absolutely right, always get the best lawyers for your legal needs to assure high probability of success. Regarding your legal concerns and questions, always ask the best of legal firms. Previous PostPrevious The Easter Bunny Came to Town! Yes.. Another Party!